Every time I think I’ll finally write about soy wax—and I fully intend to get to it—I get distracted. For the past several days it’s been Madame Tussaud and the centuries-old art of creating wax figures. As a young girl, Tussaud learned this art from Philippe Curtius. (After Tussaud’s father disappeared, Curtius became her mother’s employer, then companion. Tussaud called him “uncle.”) Two hundred and some years later, Madame Tussaud’s wax museums—filled with wax replicas of kings and thieves, monsters and celebrities—are well-established and still opening in major cities across the globe. And to this day at Madame Tussauds of London, Curtius’ Madame du Barry reclines on a chaise lounge, seemingly breathing. She was created in 1763. Madame Tussaud herself is there, a self-portrait in wax, created in 1842 when Tussaud was 81. · Is it Madame du Barry or … ? Oh! But I’m afraid it will melt! My dear woman, s’il vous plaît, but if Madame Tussaud’s death mask of Marie Antoinette survived the French Revolution and Reign of Terror and crossing the English Channel to London … perhaps mon petit bear can find his way home safe with you? Wax heads (aka death masks) by Madame Tussaud. Marie Antoinette is far right, next to her husband, King Louis XVI. This is a photo of my computer screen tuned to page 51 of Madame Tussaud and the History of Waxworks by Pamela Pilbeam, which is embedded, via Google Books, at the end of this post. Wax heads (aka candles) by Pea Pickle Farm. The process of making wax figures has hardly changed over the centuries, though some of the materials have. But at the National Presidential Wax Museum in Keystone, South Dakota, beeswax is still the preferred wax, mixed with a bit of Japan wax. There is a description of the creation process on their website as well as a video. But, honestly, I began with the intent to write about soy wax and what does any of this have to do with that? 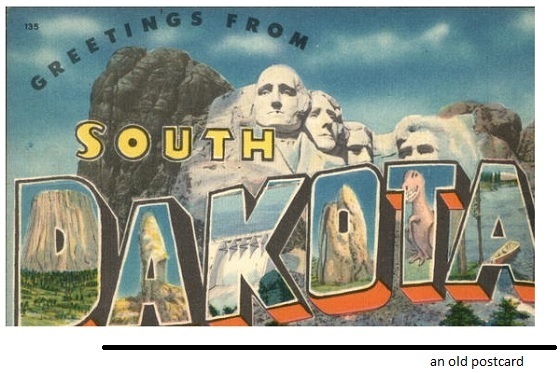 How did I get like quicksand from soy wax to wax heads of the French Revolution and a possible road trip to South Dakota? A while back I read about the history of soy wax online but before writing about it I wanted some background on man-made waxes, so I embarked on Chapter 6, “Synthetic Waxes and Wax Compounds,” in The Chemistry and Technology of Waxes. Warth divides the synthetic waxes of the time (1947) into eleven groups based on a lot of technical mumbo-jumbo, and soy wax is mentioned in passing in the section “Hydrogenation of Oils,” where we learn, for one, about hydrogenated cottonseed oil. Known as Coto Flakes. Which sounds like a breakfast cereal. But Coto Flakes was used as a substitute “for palm oil when coating the pickled steel sheets in the manufacture of tin plate.” (According to Warth, it was far less likely to become rancid.) We also learn about Opalwax, which was the brand name for a DuPont product produced by hydrogenating castor bean oil. Opalwax had many applications, including “ … impregnating and coating papers, fiber board, leather, cork and textiles to make them grease, oil, and waterproof, [and] as a lubricant for electrical insulation.” It was also “claimed to be of value in the manufacture of candles, rubber-coated fabrics, polishes and finishes, carbon paper, inks, cutting oils, and for waterproofing and air breaking of air plane wings.” But we learn no such details about soy wax, perhaps because at the time there was no marketable use or need for it, even though soybean oil was, apparently, being hydrogenated then as it is now. Anyway, at this point I went online to see if Opalwax and Coto Flakes were still around. 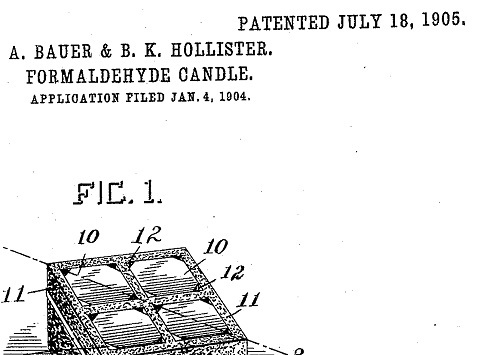 It seems they are not, but while noodling around I found a 1905 patent for a formaldehyde candle. I decided, for the time being, not to pursue that track but, as long as I was online, I searched my local library for a couple of specific titles and authors as I had been needing a fresh book to delve into, nothing to do with wax. Then, as a lark, I searched on subject: wax. One and only one book popped up, Madame Tussaud, by Michelle Moran, historical fiction, not usually what I read. But later that day I picked it up and cracked it open and boy, did it capture my imagination. I was absolutely loving it. Not only the wax works stuff but the whole French Revolution and Reign of Terror which is ghastly, but. That figures made of beeswax survived the French Revolution. That Tussaud survived the French Revolution. That she survived by making wax figures of severed heads. Which she did to ensure that she was thought of as a patriot, a friend to the revolution and not a royalist. In a way you could say that she kept her head … and thus kept her head. She avoided the guillotine. But. Still. A close shave. Tussaud also visits the Marquis de Sade, in prison, for the same purpose, to study and sketch him to make his likeness in wax. (Fortunately, this brings no Great American Musical to mind.) And that’s the thing—in order to draw people into her family’s wax museum, the wax figures and tableaus have to be notable. Have to be worth it. People are starving, yet hungry for “news,” which, in a way, the Salon de Cire is providing. What will the people pay to see? Tussaud and her uncle are in the thick of revolutionary events and create in wax accordingly. But, and with all due apology, I began with the intent to write the story of soy wax, which was invented in the 1990s when a chain of retail stores perceived a need for a line of candles made of a wax that could rival paraffin in price but that fit the store’s image and philosophy of being environment- and health-conscious. In short, The Body Shop wanted mass-produced “natural” candles. In response, the man who was The Shop’s beeswax candle supplier got into a lab in Iowa, where he lived, and started working on creating a wax from vegetable oils. At the same time, in Indiana, soybean producers were looking to increase the number of products that could be made from their crop, so people in lab coats in Indiana were working on that. Soon, with a little hydrogenation, we got soy candles and various vegetable-based waxes which go by various brand names such as eco-this, eco-that. All these waxes are produced via different formulations and ingredients resulting in physical properties designed to serve the particular needs and demands of the commercial wax market. · History of Industrial Uses of Soybeans. Page 1738, as well as preceding and subsequent pages. Soyinfo Center, 2017. · Soy wax development getting new attention. August 10, 2012, TheGazette.com, Cedar Rapids, Iowa. So the soy story is interesting, but I see the story of soy wax, in the context of wax in general and as well in context of the growth of “natural” products and maybe in context of soybeans and their proliferation, not to mention the whole genetic modification thing, as a great article yet to be written by someone else, probably for the “The New Yorker,” and I will someday read this story and find it fascinating. And a hundred years from now it will be interesting to see if soy wax is still around, being made, sold and used, and if soybeans are still being turned into everything from milk to wax, soup to nuts. Will soy last? Will it last as long as Madame du Barry in a swoon at Madame Tussauds? Will it last as long as Madame Tussaud herself? Madame Tussaud forever making death masks. Photo by Herb Neufeld via Wikimedia Commons. Location: Royal London Wax Museum, Victoria, British Columbia, Canada. Until two weeks ago, my strongest association with the French Revolution was the movie “Start the Revolution Without Me.” Now there is much to explore, including a woman named Olympe de Gouges who wrote in response to the revolution’s “Declaration of the Rights of Man and of the Citizen” the “Declaration of the Rights of Woman and of the the Female Citizen.” She was beheaded. And of course there are biographies of Madame Tussaud and histories of waxworks to read. But first—I should return to those formaldehyde candles. These “so-called candles” were used in the early 1900s to disinfectant rooms in hospitals and sanatoriums. It was claimed that when lit they cleaned the air. · U.S. Patent No. 676.814. Formaldehyde Fumigator. · U.S. Patent No. 794,771. Formaldehyde Candle. · Formaldehyde Disinfection in Tuberculosis. Pages 224-229, particularly page 225, Paraform Candle Method. The American Journal of Nursing, December 1911. · Review of Formaldehyde Fumigation. Wm. Dreyfus, American Journal of Public Health, November 1914. In particular, see so-called last paragraph page 1048. Just going to show, I suppose, that it’s all relative. And now, two minutes of business, or, and, pleasure. 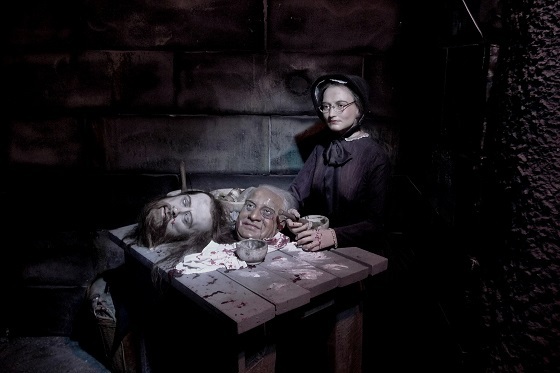 And here is the source for the photo of death masks: Madame Tussaud and the History of Waxworks, by Pamela Pilbeam. I have yet to read this book, but a good used copy is in the mail. And a slice from Madame Tussaud and Sons’ Exhibition Catalogue, 1876. Hebert is the fourth head from the left in the page 51 photo directly above.